Lovely lovely. Thanks so much for sharing. 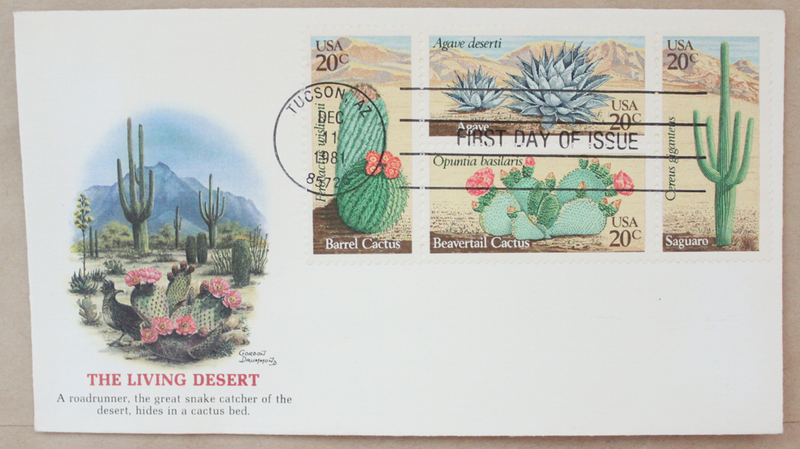 The whole sheets of stamps are marvelous. I know I could never part with those either. 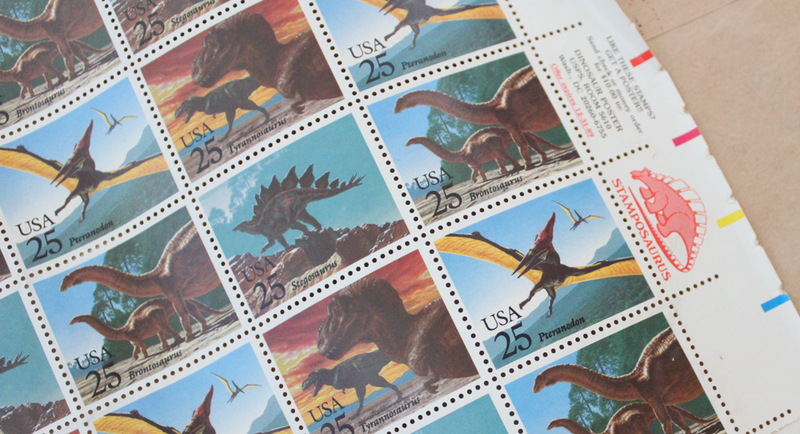 Also, I LOVE the Stamposaurus!!! on the selvage. So cool. Absentee fathers, good for something, eh? 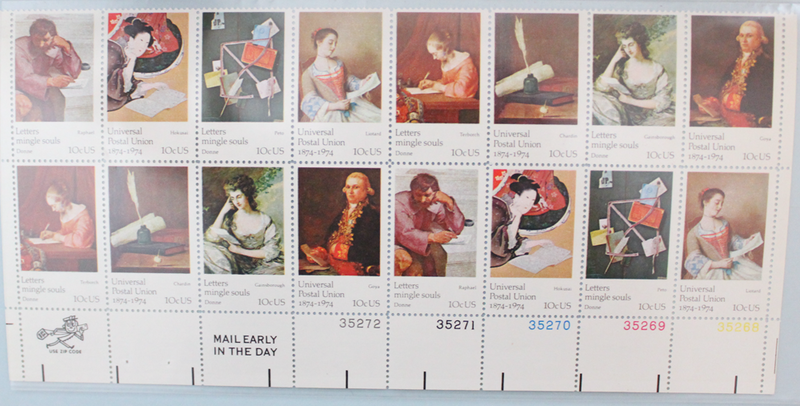 I really want to frame the whole sheets of postage. The dinosaur one I have been using just because my dad glued (oh, alcohol) it into a book so there is a big tear in the middle of it from when I took it out of the book. I like your post today. I understand it might be difficult to part with this beauties. I would have the same hesitations. 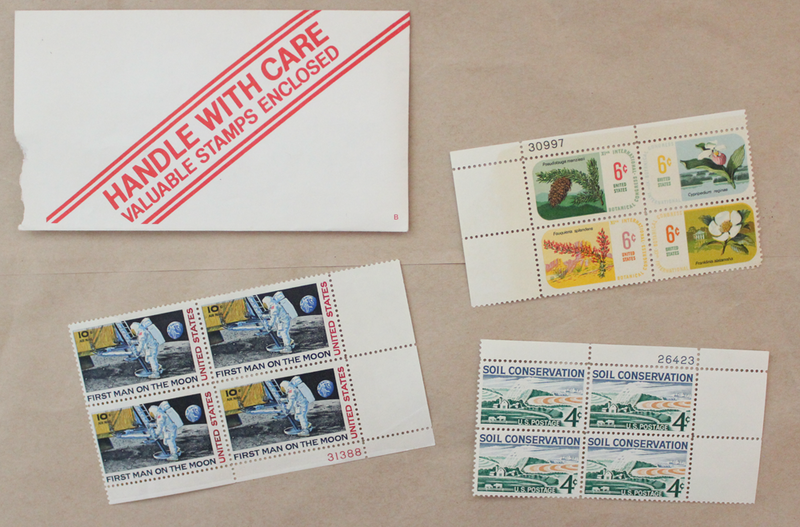 But… what are the stamps made for? I think that maybe if you mail them to your beloved ones, it will continue bringing you brightness and happiness. 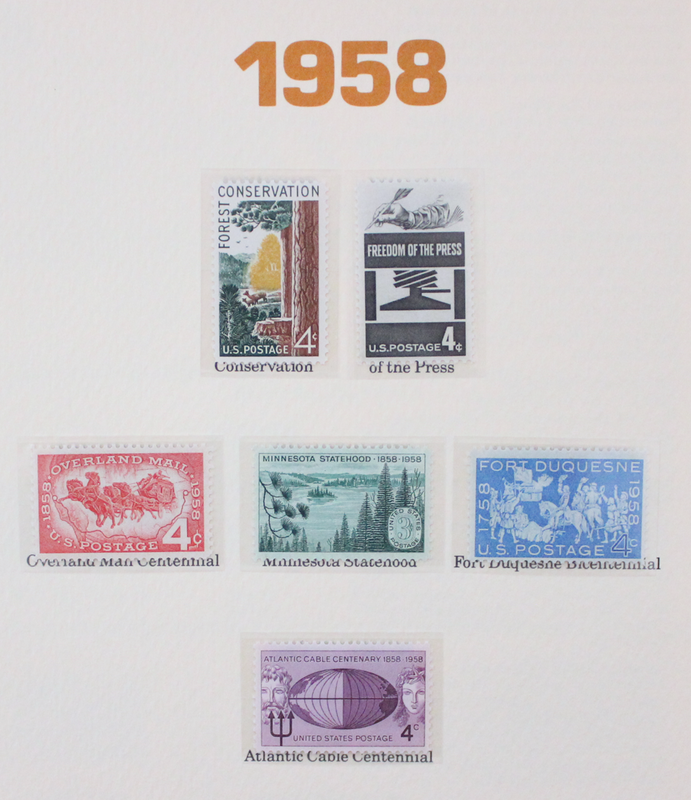 Beautiful stamps. 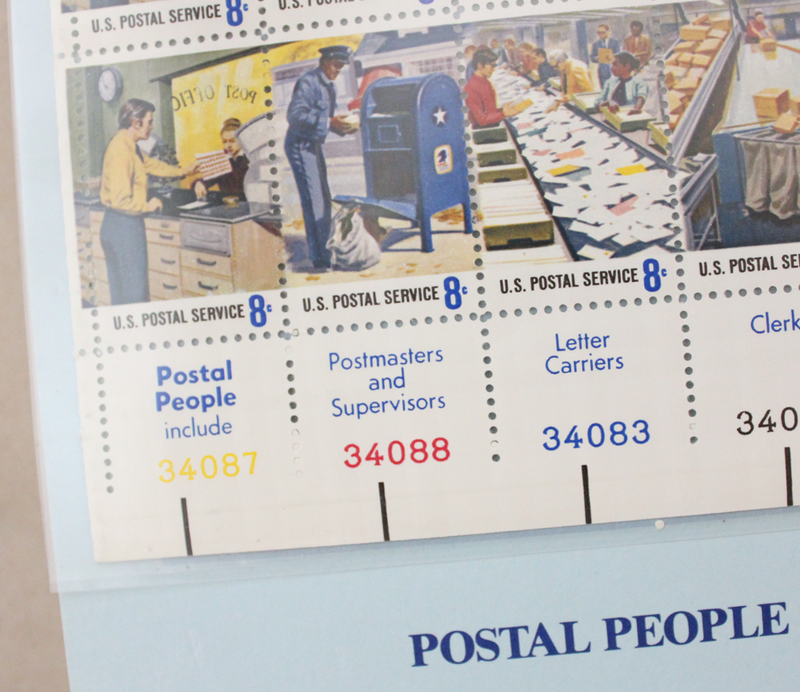 I have the sheet of the Postal Workers and I love it — I want to frame it and hang it up and look at it. 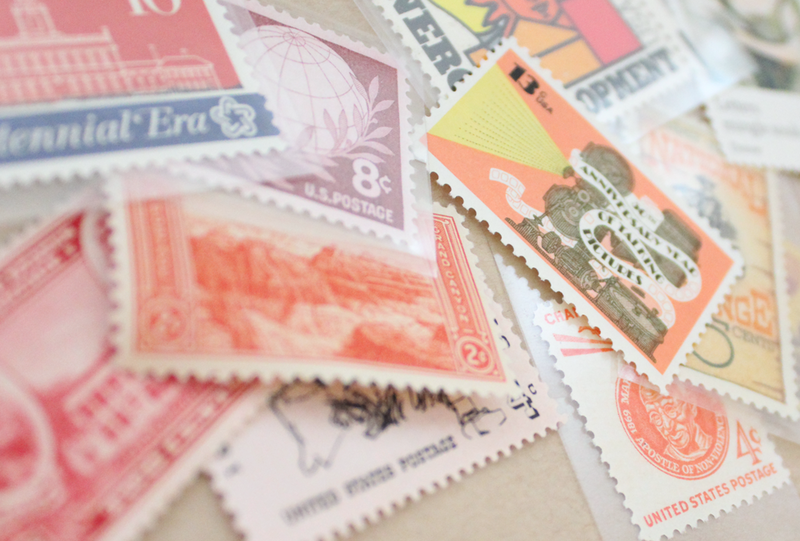 It is pretty easy to buy face value old stamps so I think your father missed the mark on that but lucky for you — now you have a cool collection! i use most of mine but have saved some full sheets too….. Yes! I would love to frame mine. I think it would be too hard to part with the full sheets. Thank you! I love that every little bit of paper can be used in collage. 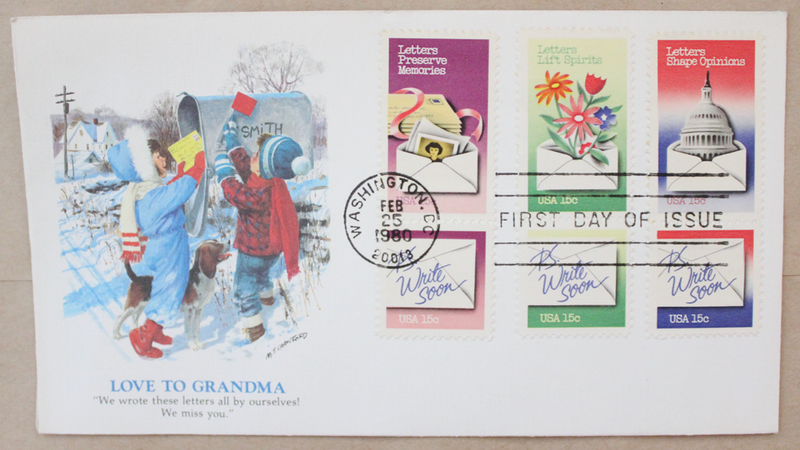 me too, collage and mail art really change the way you look at / use things – it’s marvelous!